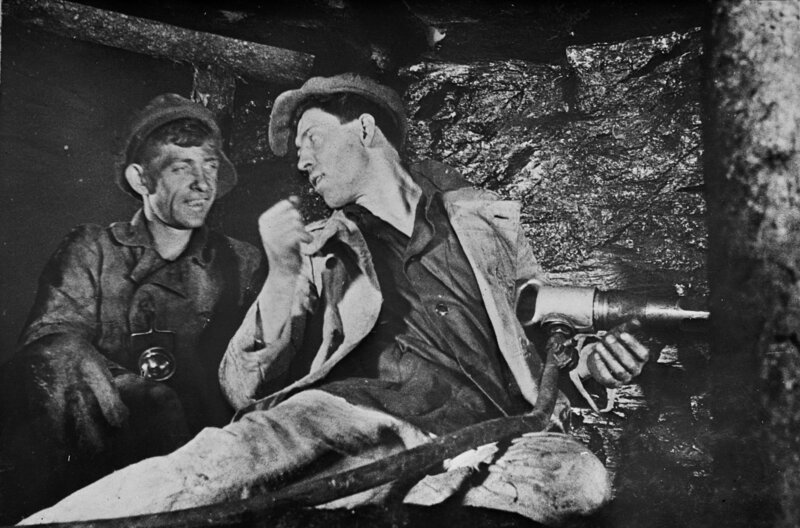 Propaganda photo of Soviet Hero of Socialist Labor Alexey Stakhanov (on the right), who reportedly mined 227 ton of coal in one shift, almost 30 times his quota. Of course, the numbers are totally fudged for public relations reasons. Propaganda photo of Soviet Hero of Socialist Labor Alexey Stakhanov (on the right), who reportedly mined 227 ton of coal in one shift, almost 30 times his quota. Of course, the numbers are totally fudged for public relations reasons. Photo is from around 1943, and in public domain in the Soviet Union (copyright has expired). The image is available on the Wikimedia Commons.